Chengdu. Buddhists and Faux Fish. Sometimes it is just all about the eating, and there we were in the food capital of the region. 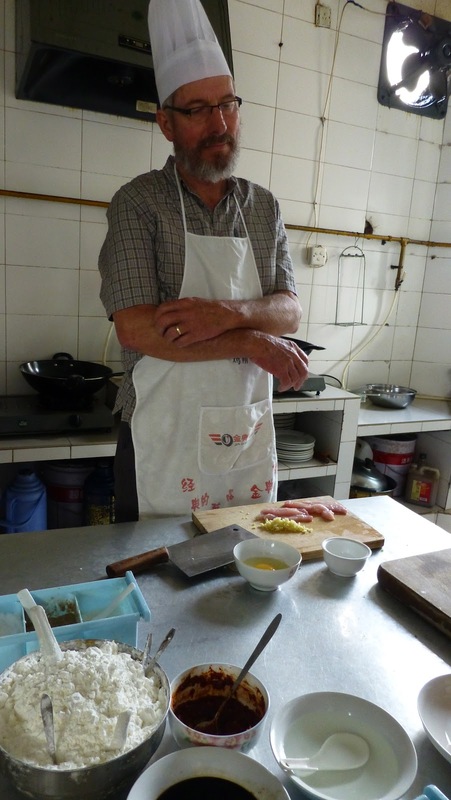 With one cooking class under our belt in Yangshuo we thought we’d have another chop at a class being offered at a backpackers hostel in Chengdu. The mild mannered Chef Dave. This class was different in that there were only 4 of us, Dave & I, plus Sam and Helen, one of our travel companions. 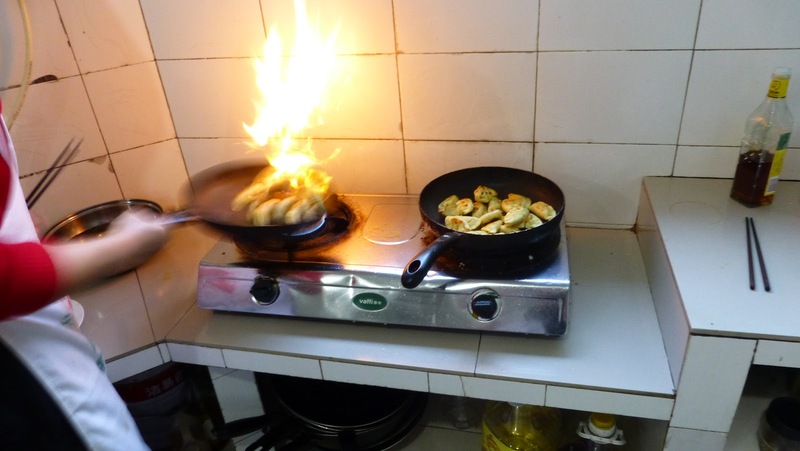 Our chef teacher was extremely thorough, if a bit bossy. But I didn’t mind that because she knew what she was doing, and we cooked and ate some really yummy food. 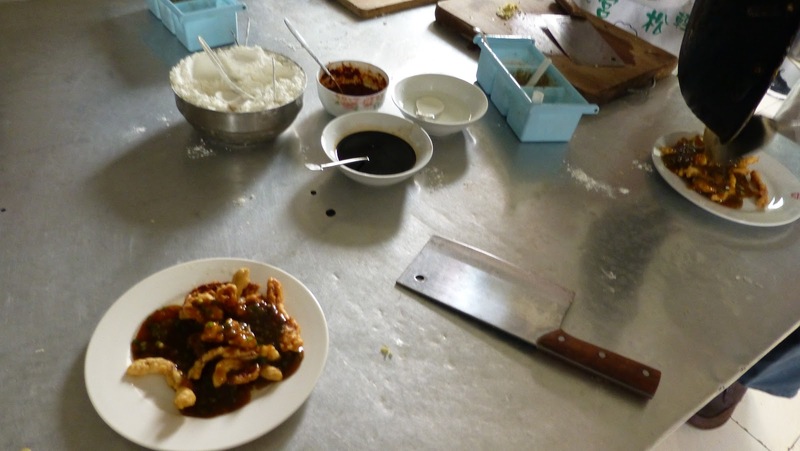 We learned about the “real” sweet & sour pork, which of course bears no resemblance to the artificially coloured, gooey offerings at home. 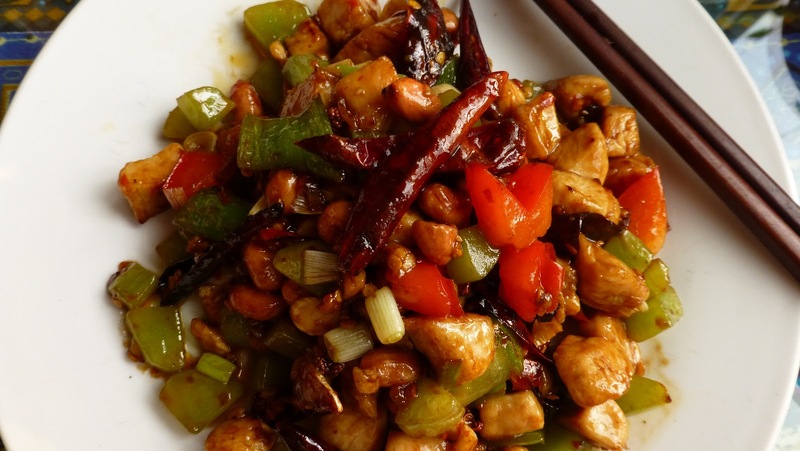 Gong Bao chicken, an all time favourite with the chilli really kicking a huge whack. Then there was a dish referred to as “fish flavoured eggplant”. 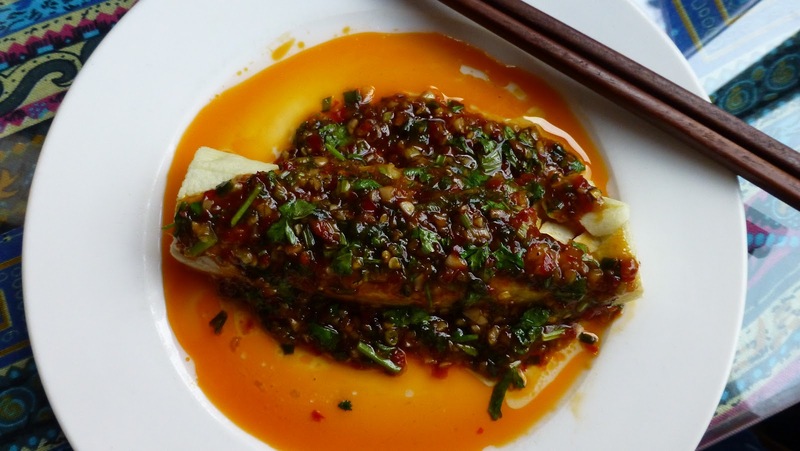 As heavenly delicious as it was, I didn’t think the taste resembled fish, however the way the eggplant was steamed, it certainly did feel like the flesh of a well cooked piece of fish. Dave says that this dish was, for him, the great discovery of the whole trip! It really was fantastic and we’ve since found many variations on this theme. Finally we made pork dumplings which was hilarious because none of us was very good at crimping the thin disks of home-made pastry together, certainly nothing like our teacher’s expert skills. So of course a lot of them fell apart in the pan. Nonetheless it was a really fantastic afternoon, made more interesting by the various guests of the hostel, including a whole lot of Buddhist monks (clicking away on their iphones). Chengdu is a popular starting point for the journey to Tibet so we saw lots of adventurous trekking types. 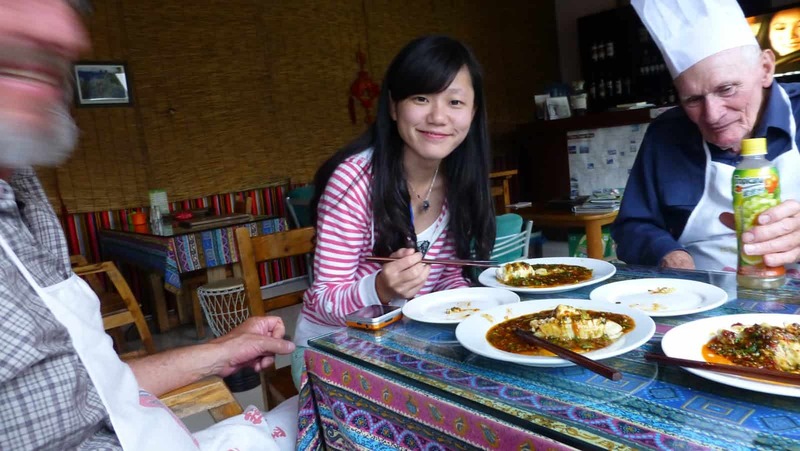 Jing came to join us as we were finishing off our wonderful feast.